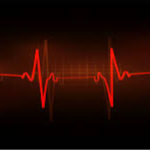 The Advance Cardiology Life Support course is designed for healthcare providers to improve outcomes in complex cardiovascular, cardiopulmonary arrest or other emergencies, whether in or out of the hospital setting by result to save lives. This course is designed to maximize the most essential skills in the Chain of Survival: Rhythm Interpretation, Basic ACLS Drug and Pharmacology Knowledge, ACLS Algorithms by based on the new 2015 AHA Guidelines scientistic updates for ACLS which has been updated to reflect the new science in the 2015 American Heart Association Guidelines Update for CPR and Emergency Cardiovascular Care. The 2015 AHA Guidelines Update for CPR and ECC is based on an international evidence evaluation process that involved 250 evidence reviewers from 39 countries. The process for the 2015 International Liaison Committee on Resuscitation (ILCOR) systematic review was quite different when compared with the process used in 2010. For the 2015 systematic review process, the ILCOR task forces prioritized topics for review, selecting those where there was designed specifically for employees of healthcare facilities. Through our class participants will utilize and achieve the clinical skills based on the different simulated clinical scenarios, practicing in effective resuscitation, and recognition other life-threatening emergence cases, and emphasizing effective team skills as a vital part of the resuscitative effort, and practicing as part of the team, and team leader. ACLS emphasizes on importance in the management of the proficiency of realistic critical situations which encourage participants to assess and treat the underlying causes of critical conditions to properly utilize Critical Thinking and decision making strategies. 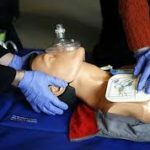 The AHA strongly agree that foundation of ACLS is based on importance of lifesaving BLS skills, and high-quality CPR guidelines. We are very welcome you in our innovative and stress free class. Course completion class and card is valid 2 years through American Heart Association. In additional we are offered the LiveScan fingerprinting service for AHCA, FDLE, DCF and special deal is available.